There is nothing more annoying than unwanted plants growing in the wrong place. However, don't despair we stock a wide range of quality weedkillers to get you weed problems under control without hard work. 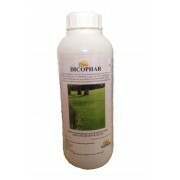 Dicophar Selective Weedkiller kills lawn weeds such as buttercups, knotgrass, white clover and daisy. 1L container ideal for the small holder. THIS PRODUCT IS NO LONGER MANUFACTURED. IT HAS BEEN REPLACED BY THE NEXT GENERATION WEEDKILLER ROUNDUP PRO VANTAGE. AVAILABLE ABOVE. 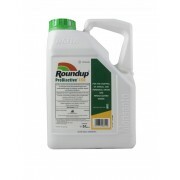 Monsanto Amenity Glyphosate is a systemic herbicide for the control of a wide range of broadleaf weed, annual and perennial weeds in industrial and amenity areas. It is as good as many of the well known brands but at a fraction of the cost. 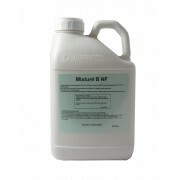 This product should be used together with glyphosate herbicides to enhance their performance. It accelerates waxy leaf cuticle penetration by dissolving the coating. It reduces the risk of wash off, aids spreading properties, enhances the effects of glyphosate and increases herbicidal uptake. 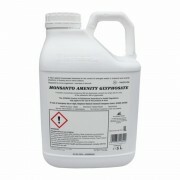 It is also ideal for conditions where spraying is difficult and for tough and hard to control weeds. Mix with herbicides to accurately see where you have sprayed. 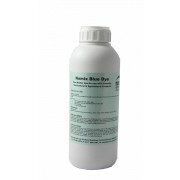 This blue dye is a highly concentrated, temporary spray colourant, which dissipates quickly in either wet or dry weather and provides a distinctive colour to show you exactly where you have sprayed your herbicide. 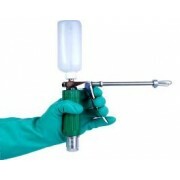 This is the ultimate stem injection system weedkiller gun and is designed for delivering an accurate dose of herbicide directly into the stem of a weed. This allows the herbicide to be quickly absorbed by the plant and translocated through the roots, giving effective control of notoriously difficult weeds such as Japanese Knotweed. In fact just one correctly applied treatment is enough to eradicate a healthy plant. 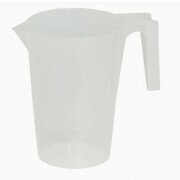 Our great value measuring jug has a fantastic embossed scale in ml. Perfect for measuring weedkillers and other garden/building products.